Welcome to the official thread of the Cavalry Champions League. We hope you enjoyed the trailer introducing this first edition of this new competition, which will strive to provide the cavalry community with both a competitive and enjoyable atmosphere. As promised, we will be giving you further information in this post to explain in details the concept of this tournament and hopefully cover most of your questions. This Cavalry Champions League is in direct line with the now well-established Cavalry Napoleonic War League. While the CNWL has proven to be the most successful regimental contest for years among the cavalry community, we did not carry the wish to host something which did not necessarily belong to us. 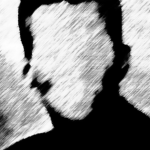 The CNWL remains a project which should only be hosted by Erik or by someone he deems worthy of taking over. Moreover, the Cavalry Champions League should bring a few changes compared to the previous editions of the CNWL. In practice, it doesn't modify drastically the whole concept but it brings in new features which could possibly alter the nature of a competition such as the CWNL. We hope to be able reaching the same level of quality observed during previous editions of cavalry leagues, but for many reasons, we prefer hosting a brand new tournament which should give us the required freedom to carry on with the aforementioned changes. That way, if someone wishes to take over the organisation of the CNWL later on, he or she won't be impacted by the result of this tournament. The complete ruleset is still being written however we have at least 99% of its core already established. Complete rule-set can be found here. The Cavalry Champions League will be played with a home-away system, having regiments fighting each other twice. This is probably the biggest change. The last edition of the CNWL had a lot of interesting results, with some regiments upsettings arguably 'bigger' names only to get upset themselves later on by other regiments. We liked that aspect and do strongly believe that with the current state of the cavalry competitive scene, a lot of regiments can beat each other. It was important for us to give the opportunity for all these regiments to work on their mistakes, improve and get the chance to 'replay' an important match later during the competition to eventually change the outcome of the first encounter, that it be by increasing the margin of their victory, or completely turn the table around. The regiments participating in the Cavalry Champions League will be selected via an invitational system. We do understand that this might be controversial for some regiments which won't be getting an invitation and could possibly divide the community into those being given the chance to participate in the league and those being kept away. The reasons behind these choices are multiple. Due to the format of the tournament, we cannot allow too many regiments in the same league, to avoid dragging the tournament for too long. On top of that, we also have to make sure all regiments have an average level to avoid the same regiment getting 10-0ed in a row, and being at high risk of leaving the competition before it ends. The possibility of hosting a second league was discussed but considering the resources and time required to host one, we did not deem it reasonable to have a second alongside. If a group of experienced and motivated people arise to take care of it, and that there are enough regiments interested to participate in this, the possibility of hosting a Cavalry Challengers League could be considered. So far, we do not think that will be the case. It also worth mentioning that we have our heart set on producing a level of hype media never seen yet in the NW community. The idea is to give the opportunity for people who won't partake in this tournament, but are still interested into following the activity within the cavalry community, to enjoy reading and watching quality contents throughout the whole duration of this competition. We will be using an ID system to track every player and avoid double regimenting. As for each competition, double regimenting won't be permitted among the regiments participating in the CCL. In order to make sure we have the capacity to check any fishy behaviour, we will ask every regiment to provide the administration with a roster including a unique ID for every single of their members, and this before the tournament starts. At the beginning of each week, regiments will be given a deadline to organize their match, in order to avoid for further conflicts resulting from a poor match organisation on both sides. If by the end of that deadline (or even before), matches haven't been clearly announced on the forums, an administrator shall be contacted to help to resolve the issue. If such issues happen too repetitively, the regiment(s) at fault will be facing punishment. In the past, we saw unneeded drama taking place due to the poor organisation shown by several regiments. Organizing a match is the responsibility of both regiments yet sometimes, both leaders might either be negligent and/or busy which leads to unfortunate scenarios where the date has to be forced on one regiment, the match happens to be delayed, all in all resulting in the tournament being damaged as a whole. In order to avoid that, we'll be asking regiments to contact their opponents within a certain lapse time (most likely three days counting from the release of the weekly fixtures). If by the deadline, the match hasn't been organized, then the organisation should be able to help both regiments to schedule in time, on a date which fits them both. The last change is still up for discussions. While we'll most likely carry on with the changes above, unless an unfortunate scenario, this one hasn't been decided yet. We believe it a positive change but are still interested to hear about your opinions as there are obvious pros and cons for that one.
? We will be introducing an offensive and a defensive bonus for every match of the league. Regiments will get an offensive bonus of 1 point if they finish their match with a victory and a round-difference of +8 or higher. (9-1 / 10-0). Regiments will get a defensive bonus of 1 point if they finish their match with a loss and a round-difference of -2 (4-6). A victory grants you 4 points. A draw grants you 2 points. Such a system has already been used for years in professional rugby leagues. You get rewarded if you have a dominant victory or a close defeat. You have to make the draw 2 points in that system because a defeat 6-4 is already 1 point, so a draw must weight more. Because the draw is 2 points, it's important you have the regular victory at 4 pts, in order to always keep a ratio of 2 pts between the draw and the victory, as for regular leagues. We believe that such a system would encourage regiments to give more importance to every round. In the normal system, it's still important to play every round of your matches and try to win them in order to get a better RD (Round Difference) in the rankings. However, it's quite hard to evaluate wherever or not one round in a particular match might or might not have an impact on the long run. It's definitely easier for players and leaders to encourage their members to keep focusing for rounds which may directly translate into actual points, and therefore produce more intense encounters. After several months of hard-work, discussions, and planning, we are proud to present the Cavalry Champions League, a new tournament format which we hope will bring a breath of fresh air to the competitive cavalry community. Our staff is composed of experienced and talented members, longtime cavalry players or leaders, with multiple tournaments organisations under their belts. With their combined knowledge and expertise, we intend to provide you with a high-quality tournament, including a new way to stream matches, various media content, and a lot of new features. The tournament will consist of one league, with all regiments having to fight each other twice, in a home-away system. At the end of the regular season, the regiment with the most points will be awarded the title of CCL winner. Starting from today until the start of the tournament in January, this series of articles will take a detailed look at each of the regiments that have been invited to this competition, revealing them one by one. The name will certainly ring a bell for most cavalry veterans as the 11e earned its golden letters in 2013/2014, fighting under Griff's leadership and proving to be a formidable force to contain with at the time. Years have passed, and not many would have imagined that from the ashes of this old giant, Lindblom would rebuild the 11e to carry on with its old legacy and try to establish itself once more among the top. This new 11e has kept a lot of its former core, with the notable exception of Griff, who has retired from NW since then. Taking over as a leader, Lindblom has made quite a solid work so far in building a solid roster composed of different nationalities from across all Europe, most of the 11e members being experienced and skilled cavalrymen who have already proven themselves on an internal level. He can count on Sharkie and Myoui (formerly known as Demme) to help him with the task of making this group of players as competitive as possible and proving that the 11e Régiment de Hussards can compete with the very bests in their first official competition. As mentioned above, the 11e is still a somewhat new regiment and if their roster is undeniably powerful skill wise, their level of team play might not necessarily match the ones of other regiments partaking in the league, at least yet. If such cohesion can be learnt and improved with time, especially by playing official matches, the position of the 11e starting this Champions League will be somewhat particular. With the roster of theirs, they have the right to except being able to contend with the best and even play for the title, but in order to do so, they won't have much room for mistakes in their early matches. This means that their preparation coming into these first matches will have a lot to play in their capacity to compete with their most serious opponents. It is also expected that due to their strong results in practices these last few months, their opponents won't make the mistake of underestimating them, leaving Lindblom's and his guys without the advantage of surprise. But its also a wonderful occasion for them to prove what they are really capable of and make the hard work pay off. They have all the elements required for success, them being competent leadership, skilled members and a good structure to surround the whole thing. The road to greatness won't be an easy challenge, that's for sure and their strength as a group might be truly tested in this competition. But I am confident the 11e will pass the test with flying colours and will use this tournament as the occasion to establish themselves as one of the very best cavalry regiment in the whole scene. Starting in 2012 under the name 2Lhr (2. Leib-Husaren-Regiment) to later transform into the 2. Leib-Regiment, the German structure - currently lead by Oberst Ipoa - has been an undisputable pilar of the NW community, for years now. One of its battalion, the 2. Leib-Regiment Kavallerie, has carried on with the legacy of its older brother, the former 2. 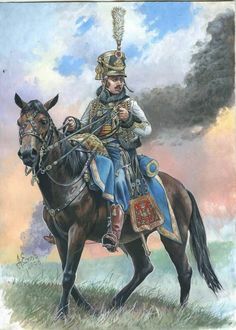 Leib-Husaren-Regiment, being able to fight its way among the best cavalry regiments of the community while also establishing themselves as a model of fair-play and consistency. Since the CNWL Season 2, they have always participated in the important events of the cavalry community and have been a reliable force to face on the field. The last few years, Adelon has managed to create quite a solid group of German players around him and their capacities were clearly shown during the last edition of the CNWL where they finished at the second place of the League 2, only losing to their German counterparts from the Nr4. As they say it themselves, the success of the battalion bears the fruit of many years of effort both in the regiment itself and internationally in the community. Motivation, companionship and aiming for a goal have always been very important for them and will certainly continue to be for this first edition of the CCL. One of the undeniable strength of the 2Lr is their team play. While their roster isn't necessarily filled with superstars, their synergy has always been one of their most important assets. The idea of having a group which doesn't shine by its individualities but truly by its cohesion is a strong backbone any regiments should be able to rely on. However, in a league consisting of the very best regiments of the cavalry scene, one may come to wonder what the 2Lr will be capable to achieve. If their lack of fire-power wasn't necessarily detrimental in the League 2 of the last CNWL, it may become slightly more problematic in a competition such as the CCL, where every match will count and where most of their opponents will consistently be able to display a roster consisting in a majority of extremely deadly players. If the 2Lr certainly won't figure among the top favourites of this competition, they still have a potential for surprise, would their opponent make the mistake of underestimating them. Several years of fighting against the best should have brought the 2Lr enough experience to know how to exploit any breaches left open for them and upset arguably stronger rosters. It surely is going to be 14 intense weeks for Adelon and his men but the 2Lr comes in prepared and with no intention to play second fiddle. You are warned. The Husaren-Regiment Nr.4 was created in July 1st 2017 by Felix. In a time where the German community was already heavily represented by two famous regiments, the 2Lr and Nr6, the Nr4 managed to accomplish the difficult task of establishing themselves as a serious representative of their country among the cavalry community. In that sense, the Nr4 followed the most successful formula which can be found for an NW regiment. They started from the bottom and took things steps by steps, spent countless hours training newcomers, forming a core of dedicated and skilled players and gradually facing stronger opponents one after the other. If the theory is good, things can often look different in practice where it takes a lot of motivation and strong-will to not give-up in the making of the regiment. You lose players, you lose battles. You question yourself about the decisions taken and the ones to come. Out of 10 regiments created, 8 often don't make the cut and disband after a few months. But the Nr4 wasn't meant to be one of these. Slowly but surely, they asserted themselves, gathering more important and solid wins against stronger regiments. The recruits of yesterday turned into the veterans of today and the first ambitions for success started to appear. For their first participation in the CNWL, last season, the Nr4 proved to the whole community what they were made of. They outclassed every single one of their opponent in League 2, losing a grand total of 11 rounds in 9 confrontations on top of the final victory. Their run in the Hussar Cup was a bit less satisfactory but the format wasn't giving much room for mistakes and they were defeated by the 8th Hussars which eventually made it to the grand final against the 4e Hussards. The CCL is going to be the occasion for the Nr4 to confront themselves once more against the very best regiments of the cavalry scene, in an official competition, but this time in a bigger format which should truly test their endurance. I would argue that the position of the Nr4 at the beginning of the tournament is not the hardest, neither the easiest. They definitely won't be expected as the big favourites of the event but their group possess some undeniable qualities which should give them the possibilities to give any other regiments in the league, no matter their strength, a run for their money. Their results during the first weeks of the competition should give an accurate picture of their true capacities and I look forward to seeing them perform in the CCL as they earned their place here through hard work and consistency. If they can definitely reach a mid-place finish without too much trouble, the last CNWL gave them a taste in gold which they might not want to forget all that soon. In a community vastly dominated by hussar regiments, it has not always been easy for other regiments playing a different class to establish themselves in competitive structures and play on an equal footing with their peers. But, little by little, despite being a minority and having to deal with the constant criticism coming with their playstyle, the heavy cavalry started to truly become a formidable force to contend with as well as making a name for themselves in the community. Today, its finest representative within the NW cavalry scene has undoubtedly become the 1er Régiment de Cuirassiers. The 1er Régiment de Cuirassiers was created on the 27th March 2018 from a merger of two other regiments; the 7e Régiment de Cuirassiers, led by Squall, and the 1er Régiment de Carabiniers, under Dragonking's leadership. Such a merger was made possible thanks to the help of Balian - leading the 9e Régiment of Hussards at the time - who contributed to help with the discussions between both regiments. In a pre-CNWL context where medium-sized regiments were not given many chances to compete against bigger structures, this merger was a good opportunity for both regiments to join forces, under a two-headed leadership having equal prerogatives and sharing a similar vision. Merging both regiments also heavily contributed to increasing their roster strength and despite not having much experience in regimental leagues, the 1erRC was given the chance to play in the 1st League of the CNWL - Season 5, with everything yet to prove. Their performance in that season was a testimony to their growth potential as the 1erRC would manage to reach a well-deserved 6th place, their most notable success being that they were the only regiment to keep the 14. Pułk Kirasjerów - the eventual league winner - in check, whilst also having strong results such as the one versus the 5e Régiment de Hussards or fighting a nail-biting match against the Husaren-Regiment Nr.6. Since the last CNWL, the 1erRC had an arrival of recruits (including some polish members from the 14pk) but also continued training their men. If they were not given the chance to partake in the Hussars Cup, their recent performance in the 5v5 tournament organized by the 2Lr showed that the 1erRC has no intention of slowing down, as they remained undefeated throughout the whole competition. Despite Dragonking's recent departure, the regiment is still in the good hands of Squall, Pierre-Theillet and Thorvic, and there is no doubt that the 1erRC has never looked so dangerous as at the dawn of this competition. With the combination of both excellent team play and skilled individual players, the 1erRC is no longer just a regiment able to upset bigger names, and provide some strong results. They have become a real contender for the title and will be a constant threat for any of the other favourites. It will require lots of patience, and very methodical plays to break through the 1erRC's shells and make them bite the dust. If most of the other regiments are now used to play against heavy cavalry, it doesn't make any less of a challenge to find a way to consistently beat them. Whether you like it or not, 2018 has been a bright year for heavy cavalry. A CNWL title, several 5v5 medals and many other strong performances in cavalry tournaments. This new year will be the occasion to see if such dominance can be accentuated even further or if the hussar regiments will be able to claim their supremacy back. It all starts with this CCL and without a doubt, you are in for a treat. In any competitive community, storylines are often built on legacies. In order to be the best, you have to beat the best. But when several different regiments end-up winning major tournament titles - and with it, start building their own legacies, how do you distinguish one from the other? The context in which said victories are achieved obviously matters, but there is probably one factor which sets a regiment or team above the rests: consistency. When it comes to the consistency shown in displaying excellence on the battlefield, the 4e Régiment de Hussards have always set themselves apart from the rest of the cavalry community, with the records they set for themselves having largely exceeded the NW sphere by now. The story goes back in 2015. After serving for years among the 7e Régiment de Hussards and winning the first edition of the CNWL with it, Erik, Sukesa, and a few other members of the 7e Hussards join forces with the 15th King's Hussars Regiment, led at the time by Archer and Felix. Their new project has a name, the 4e Régiment de Hussards. Very quickly, it became obvious the 4e had a potential which had never been seen before in the cavalry community. Erik and Sukesa were some of the heaviest contributors to the 7e's success, and with them came their French flair that they had largely developed among the ranks of their previous regiment. Coming from the 15th was a large roster composed of skilled and experienced members, who had been performing extremely well in the previous CNWL (being the 7e's most serious competitor) and undoubtedly contributed to the strong start from the 4e Hussards, with Archer leading and Erik as his second. A few months later, Archer decided to step down from his role and Erik took the leadership over. The 4e Hussards, which had overwhelming success since its start, definitely took off. They claimed the title of the CNWL Season 2 with unbelievable supremacy, making some of the biggest names at the time feel completely lost against them. The Nr3 was the only regiment able to make their encounter against the 4e a close match, but it wouldn't prevent the 4e to claim their first gold trophy, with an impressive clean sheet of seven victories and zero defeats. Far from stopping there, the 4e would follow up by taking two other major titles - the third and fourth editions of the CNWL - asserting its dominance on the cavalry community in the best of manners. Their competitive record in and out of tournaments is certainly one of the most impressive seen in the all of Warband’s competitive scenes, not losing a single match for more than three years straight, across eighty official matches. The 4e's competitive legacy was also built on the numerous rivalries it had against other cavalry regiments, one of the most famous being against the 5e Hussards. At the time, the regiment was led by two of Erik and Sukesa's former teammates from the 7e, Exofrance and Peponi, and because of that the 5e versus 4e matches always took a particular flavour, especially since the 5e was also one of the strongest regiments at the time. But while the 5e managed to keep the 4e Hussards in check on two occasions, the following re-match (acting as a decider for the league victory) turned in the 4e’s favour, confirming once more that they were the most formidable force the cavalry community had ever seen. But such legacies rarely last forever. During the fifth edition of the CNWL and despite a near perfect run until their very last match, the 4e was sourly defeated by the Polish from the 14pk, led by Zahari. While giving heavy cavalry its first major title, the members from the 14pk not only took the trophy off the 4e's hands, they also stopped the most formidable streak ever witnessed in competitive Warband history. Such a story could have stopped there. On a game constantly getting older, the 4e's defeat could have marked the end of their unique legacy. But as the saying goes, legends never really die. In a context of post-CNWL where heavy cavalry dominance was discussed among a community majorly consisting of hussar regiments, the Hussar Cup was hosted to answer some expectations carried by said community. It was the perfect opportunity for the 4e to revitalise themselves, and after a nail-biting series against the 8th Hussars (which would go down as one of the most intense NW grand-finals) the 4e enjoyed renewed success. Coming into this CCL as one of the strongest and oldest powerhouses in the cavalry scene, and with the growing success of the 11er, 1erRC, andNr6; the 4e Hussards will certainly have their heart set on wiping the slate clean. Yes, the 14pk proved that they could be beaten, but they still remain one of the heaviest favourites coming into this competition. This might be their biggest challenge to overcome yet, proving that they can come back and dominate the scene once more. With their roster built on experienced and talented members - most of their core with countless tournaments under their belts - they have built something which has never been seen before in the game, and they certainly don't plan on stopping here. After years of staying at the very top and facing the inevitable criticisms coming with it, the 4e also proved to their detractors that the regiment wasn't only set on having the biggest trophy cabinet possible. They also became a community, a real group of people caring for one another. To those who doubted that the 4e would survive the initial hype coming with its creation, they can pride themselves with a continued activity for nearly four years. To those who doubted their capacity to stick together through defeat, the 4e and its members have shown impressive resilience and willpower after the last CNWL, one of the reasons they are still here today. In this competition, many will be looking at the 4e as one of the biggest obstacles to overcome. However, only few will realise what it took for them to get here, and how they truly gave the term champions a real and immutable meaning. On the 29th November 2015, a group of players from the 10thJBH left the structure together in search of a new adventure. Existing in a German community vastly dominated by the 2Lr, many probably gave their project little credit. Who would have believed back then that over three years later, the German squad lead by Fidje would become one of the deadliest competitors on the cavalry scene and without a doubt the most skilled German cavalry regiment? This is a story unlike many have been seen in the NW community, showing how cohesion, friendship and hard work can bring you from the bottom to the top and how rewarding building something from scratch and turning it into something bigger than simple competitive gaming can be. This story is the one of the Schlesisches Husaren-Regiment Nr.6. The debuts of the Nr6 were certainly an indicator of the potential which was always present among their ranks. They quickly managed to rack up some important victories; the most impressive undoubtedly being against the Nr3 which was at the time was among the most dangerous regiments in the cavalry community. Looking at the community nowadays, some might also believe that the Nr6, despite being relatively new, didn't face many difficulties into surpassing the 2Lr in term of competitive results. However, at the time the 2Lr was not only the oldest and most established structure of the two; they had also just recently finished the 3rd Season of the CNWL at the third place, having only been beaten by the 4e and 5e, the two biggest regiments at the time. It was therefore not easy to just come in with a bunch of fresh members and, on the back of some good results, try to establish your regiment as the number one in Germany and one of the very best in EU too. If some regiments can have a tendency to grow too big too fast and are not capable of surviving the eventual failures that come with such a competitive spirit, this wasn't the case of the Nr.6. The German regiment continued to sustain their momentum and with every new loss, came a new lesson. No round loss was in vain, so long as something constructive could be gained from it. They started fighting top regiments more regularly, gaining more and more experience and showing they could rival with them on more than one occasion. At the dawn of the 4th Season of the CNWL, the Nr.6 was holding an impressive record of 34 victories for 1 draw and 4 losses, with these four losses being exclusively against top regiments. The Nr.6 had truly started to make a name for themselves and were ready to write in golden letters the name of their regiment in the hall of fame of the cavalry community. The biggest step, however, was still ahead of them, as it was required for them to translate these victories into actual tournament results. Unsurprisingly, the Nr6 was put in League 1 of the CNWL, among great names such as the Nr3, 4e, 5e, 7e, 9e and their German counterpart, the 2Lr. It was undoubtedly the perfect occasion for Fidje and his men to prove to the community what they were really capable of. Looking back at these events from a distant perspective, it's easy to see a clear competitive pattern in the history of a regiment and explain that all things considered, it wasn't really a surprise to see them reaching such a high level considering the potential of the regiment. With that being said, having such reasoning would also be denying what the Nr.6 had of truly unique, it being the will-power that drove the regiment to the highest podium of the competitive scene. They started with nothing, and yet built something which truly was a mirror of their wish to not only figure among the bests but also outperform said 'bests' in order to take their place. Despite having to fight the 4e and the 5e back to back in the early weeks of the competition, the Nr.6 would finish the league with a truly outstanding record for their first official major tournament; taking a well-deserved 3rd place and establishing themselves as the top German regiment by defeating the 2Lr in a one-sided match. Far from stopping here, the Nr.6 would continue their impressive streak in results outside of tournaments, with their focus most likely set on the next competition. Such an occasion was given to them in March 2018 for the 5th Edition of the CNWL. This time, however, the Nr6 was no-longer an underdog and entered the competition with a clear shot at winning the whole thing. Unfortunately for them, this CNWL would also appear as the most disputed season ever played and while the Nr6 clearly held on to their status of a serious title contender, they couldn't do better than a 4th place finish. Whilst this was far from being poor performance on their side, it certainly left a bitter-sweet taste in the Nr.6 members' mouths as they were within their rights to expect better. The disappointment of the CNWL was quickly followed by another in the Hussar Cup where they were defeated by the 8th Hussards in a close match during the semi-finals of that competition. Looking at this results, is it possible to conclude that the Nr6 has reached their peak then? That despite an indisputable teamplay and synergy amongst their ranks and some of the deadliest players in the European cavalry community, the Nr6 was simply not meant for gold? That could have been a valid reasoning a few months ago, but the most active players of the community would have probably spotted a result recently which went somewhat unnoticed, yet clearly appeared as a strong sign in favour of the Nr.6. Only a few weeks ago, Fidje and his men faced Erik's 4e in a practice match and defeated them 7-3. If such a match has to be put in perspective - due to being a friendly contest with not much at stake other than the result itself - the 4e Hussard is known to take these matches very seriously. More importantly, it is worth noticing that the 4e had never been beaten by a hussar regiment since its creation. Will the Nr6 be able to repeat such a performance once the CCL starts? And if so, are they capable of pulling it off against the many other top regiments also present in the league? There are plenty of people who believe in this possibility, as the Nr.6 has arguably never looked as strong as it does right now. They went from the joy of being a young regiment discovering their first successes, to experiencing the disappointment of not being able to live up to their expectations, but importantly, they survived these experiences. They surpassed these difficulties, as a group. Today, the Nr.6 can pride themselves with being one of the oldest regiments in the cavalry community but also one of those capable of offering a real challenge to any of their top tier opponents. Most importantly, the Nr.6 is no longer something that is only 'virtual'. Many of its members met in real-life on different occasions and gave these thousands of hours spent together a whole other meaning; going beyond the natural borders created by video-gaming. More than a regiment, they are one of these structures who can give real meaning to this notion of 'second family'. Experience can be acquired with time. Skill-gap can be filled through hard work. But when you will face the Nr.6, ask yourself that question. Can you say that you have seen eye to eye the teammates that will hold your back once the melee explodes and chaos arises? Because make no doubt about it: the Nr.6 and its members can. The 5e Régiment de Hussards truly has become a big name in the cavalry community. It was founded by Exofrance, Peponi, Chuscos, Eous and Destrass on December 17, 2014. 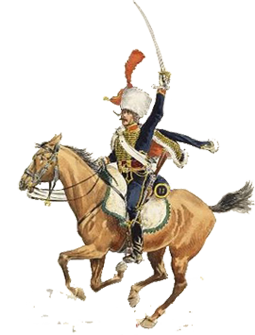 With proven experience gathered in the ranks of the 7e Hussards, they were quickly capable of establishing a solid structure and set for themselves the goal of establishing the 5e's name among those of the respected cavalry regiments in the community. The 5e Hussard quickly managed to establish strong dominance on the battlefield and gathered many noticeable victories in official matches. Its most impressive success as a regiment was to reach the final of the CNWL twice. However, the 4e Hussard stood in front of them in these two occasions leading to a draw preventing them from grabbing the title. The intensity of these two encounters - which both ended in a draw, and lead to direct rematches to decide the winner - as well as the fact that the leadership from both regiments used to play together among the 7e, created a lasting rivalry between the 4e and the 5 Hussards. By the end of 2017, after two years fighting at the highest level of the competitive cavalry community, the leaders of the 5e Hussard decided to put the regiment on a well-deserved break, unsure on wherever or not they would come back. But the flame in their hearts never died, which is why Exofrance, with his officers Treiz and Napoléon, decided a few months later to revive the regiment and once again lead the 5e to glory and greatness. Even though the 5e could still count many veterans in its ranks, its roster had slightly changed, with new additions also contributing to their renewal. After a CNWL with mixed results, the 5e Régiment de Hussards intends to show to the community that the legacy they built some years back isn't a vestige of the past and that their will to perform against the best regiment of the scene and make them bite the dust is still one of the reasons driving the 5e in this CCL. Many regiments disband or take an indefinite break and never come back, but the 5e is not a typical regiment. It came back strong and full of motivation and was quickly able to rise once more at the top of the cavalry scene. They proved this with the successful participation in the 5v5 tournament of the 2Lr. where they ended up with 2 teams in the top 4, even though they could not grab the final victory. The 5e is not an ordinary regiment - it's a family. Many of its members got the chance to meet in real life, creating a special cohesion hardly achieved elsewhere. This sense of unity is also clearly reflected in their team play. The success of the individual is always subordinated to the success of the regiment. With discipline, ambition and friendliness, they achieved high status within the cavalry community and beyond. Furthermore, the 5e has many veterans with excellent skills and a lot of experience to help the new players and to carry them off. True to the motto "It is the man and not the sword that prevails, the hussar is our first and last concern", training at 5e is considered one of the most important elements. But is the 5e also strong enough in width? Many of the new additions are unpredictable, especially in terms of their grasp of team play, but regardless the 5e is still one of the big favourite contenders for the title as long as they can consistently replicate their recent strong performances. The 5e is hungry for the title again and the flame in the hearts is bigger and stronger than ever. For this very last showcase, presenting the 16e Régiment de Hussards, we are going to take a little trip back in time to 2014, as 16e is one of the oldest regiments participating in the CCL. It all started as a side-project lead by Bamse, who - at the time - was also 3rd in command of the 15th Hussards. In cooperation with the 16e Régiment d'Infanterie de Ligne, led at the time by Charles and Carolusrex, Bamse managed to set-up a small cavalry detachment which, little by little, turned into an actual regiment. Way after the infantry side ceased all activity, the 16e Régiment de Hussards continued to participate in NW events, with some eventual breaks in-between the years. 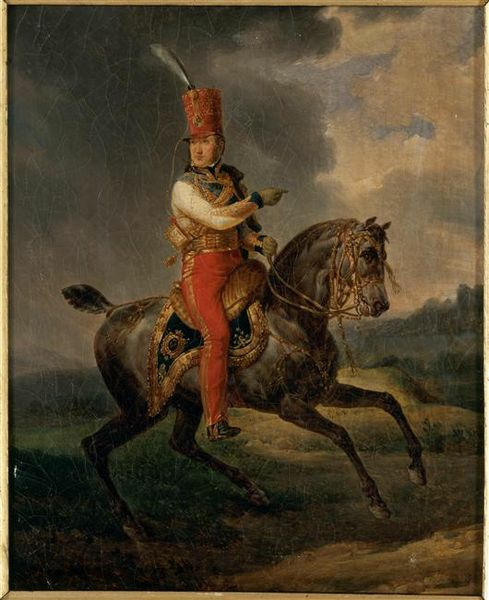 Bamse himself would become a full-time leader of the 16e after the 15th merged with Erik and his men from the 7e to make the 4e Hussards. The competitive side of the 16e is actually greater than what some people may imagine. For their first participation in the CNWL, during Season 2, they were placed in League 2 and finished the tournament with an impressive record of six victories for one defeat only, which was against the eventual league winner, the 73rd. This impressive performance for a young regiment granted them a well-deserved second place and was a promising omen for the regiment. They missed the third season of the CNWL but were attending the next and fourth edition in League 2 once more, where the results were relatively more mixed, yet still very decent. Their last season of the CNWL saw them losing only two matches only, against the 2Lr and the Nr4. In these two occasions, the matches were far from being one-sided affairs, proving that the 16e, despite not being as eager as other regiments to perform at any cost, were perfectly capable of holding their own against arguably bigger names. That's probably what's the most intriguing about the 16e. The regiment seems to have this capacity to act in a very discrete and modest manner. Despite having survived throughout the years where many other regiments disbanded, the 16e never really seemed to mind being continuously placed in League 2, where some could have argued that after all this time and some very consistent results, they might finally deserve their spot up there regardless of their capacities to be able to fight with the other top regiments. For a regiment which didn't have any particular ambitions at the beginning, they achieved something which is not as easy as it may seem; longevity. On top of that, they also proved that they despite not having the most try-harding people in the game, they could achieve some really strong results and place well throughout years of competition within the cavalry community. And that's where the 16e stands for this CCL. Yes, they might indeed not be the most skilled regiment among all the participants. In fact, some could come to question their capacities to even survive in a league as competitive as the CCL. But the Cavalry Champions League is not a competition where regiments are invited based on their skill only. The wish to improve as a group, to give its very best and represent the cavalry community in a healthy and positive way, is something which is going to be highly valued in this tournament. In that regard, the 16e has proven to be one of the finest representatives of the cavalry community, continuously proving that friendship and fair play are as important as having a high competitive spirit for a regiment. For quite a while now, Bamse gave the torch to Simon who will be leading the regiment in the CCL. But the 16e won't fight alone. For the competition, they will be able to count on many of the KGL 1st Hussars who have decided to unite their forces with the 16e in order to make sure the regiment can count on a substantial reserve of motivated players. The 1st Hussar Battalion of the KGL, led by Zauberfisch, Ryan and Quinn, shares many of the aforementioned values which are very important for the 16e and for that reason, we look forward to seeing what they are capable to achieve among the ranks of the 16e. We also believe that while both regiments would have faced many difficulties in this league, would they have played it alone, they will be able to support each other and give the very best of themselves. There is no questioning the task ahead of them is going to be immense but it is also the very best occasion for players who have been partaking in many tournaments in this cavalry scene, to finally be given the chance to fight among the very bests. No matter the results they will get, this will be one hell of a learning experience for them and something which we hope will strive in their hearts the wish to continue playing at this level of competitiveness. We will put all our hearts into this project in order to make this as successful as possible. Can't wait to be there! Exofrance et anglais aidez-moi !!!!!!! Putting this project together has been literally months of planning, discussion and hard work. The admin team - from which Exo and I are part of - is looking forward to making something big out of this event and we sincerely hope people will take as much pleasure participating into this as following the event from a viewer perspective. As written in the OP, most of the important information will be given to you in the following days so stay tuned. Looking forward to this Nice trailer. Wish you best of luck with this project, 5e lads! Thank you Dokle, as well as everyone else for their warm messages. This will be announced later but just to clarify, the 5e isn't organizing this event. We'll release the admin team working on this project as soon as possible. The initiative and most of the ideas come from Remao and Exofrance but we insisted on gathering a mixed staff to organize this competition so the event isn't labelled with a regiment name but with an actual admin team. Moreover, such staff isn't fully finalized and we might be looking for one or several additions to complete it.